All Android smartphones from Nokia (HMD Global) support SD cards. You can use the SD card to store apps as well, besides storing photos and videos. Yes, Nokia smartphones come with an option to move apps to the SD card. Nokia uses a separate mounting technique to achieve it. You can move apps to the SD card on these Nokia devices – Nokia 2, Nokia 3, Nokia 5 and Nokia 6. 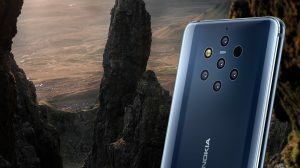 The Nokia 8 does not come with the feature. 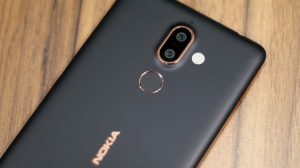 I am unable to confirm for the Nokia 7 as it is only available in China. Why move apps to the SD card? How do Nokia phones support Apps on SD card? How to Move Apps to the SD card on Nokia Android Phones? Your Nokia smartphone has its internal storage. So it is fair to question why you should move apps to the SD card. The short answer is – to save space. Nokia phones come with different storage options. The Nokia 6 offers 32GB of internal storage which is quite enough. However, the Nokia 3 and Nokia 5 only come with 16 GB storage options. The Nokia 2 goes even lower at just 8 GB of internal storage. A big part of this internal storage is used up by the OS for its data and the rest is slowly consumed by the installed apps. Hence, there comes a time when your internal storage is packed up. The Play Store then does not let you install more apps. The phone also starts behaving sluggish and lags because it no longer has space to store its cache and other temporary files. The solution is to keep as much of your internal storage free. This keeps it available for the more important functions of your smartphone. By moving apps to the SD card, you not only save your internal storage but also manage to install more apps. Most Android phones these days do not offer the option of moving apps to the SD card. That is because new versions of Android do not allow apps being installed in the external storage. So, that is an Operating System level limitation. 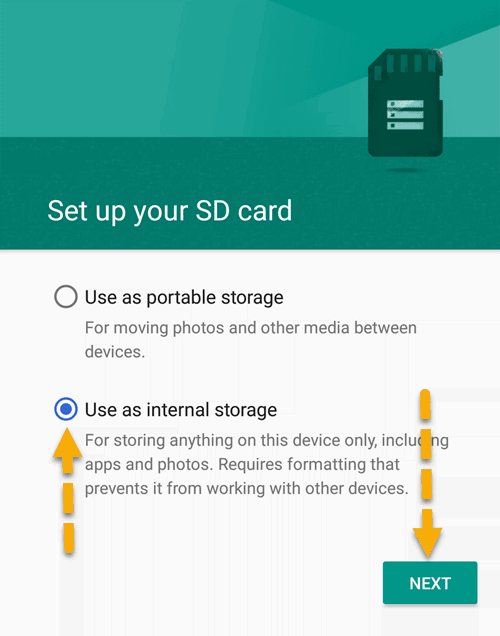 Android phones mount an external SD card as “external storage”. However, in Nokia phones, HMD Global offers a different mounting technique (optional) i.e. “Mount as Internal Storage”. So, you do not need to root your Nokia 6, 5 or 3 in order to move apps to SD card. When this option is selected, the phone mounts the external SD card so that Android feels it is internal storage. The rest of the story is self-explanatory. Because the OS thinks it is internal storage, the apps are allowed to be moved to the SD card. However, not all apps support this functionality. Some apps have restrictions on being moved to the “Internal SD” as well and they will not be available for moving. The “Mount as Internal Storage” option also has its limitations. The biggest one is that it requires the SD card to be formatted. So, all existing data on your MicroSD card needs to be wiped before it can be used to store apps. 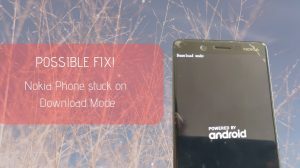 Another disadvantage is that the MicroSD card formatted for storing apps cannot be used on any other smartphone without formatting again. So, you cannot swap your card with your friend’s to have him copy data from your card. So, you lose your SD card data when setting it up as internal storage. You lose your data again when you want to stop using it as internal storage. So now that you know the benefits of moving apps to the SD card and how Nokia phones manage to do it, let’s get to the main question. How to move apps to the SD card on your Nokia smartphone? Just follow the instructions below and you will be ready to move apps to the SD card. Important: Make sure that you use an SD card which has a decent read/write speed. Because a slower MicroSD card will reduce the performance of your smartphone. Insert the MicroSD card to your Nokia smartphone. On your phone, open Settings > Storage > SD Card. Select Use as internal storage and tap on Next. You may need to go to options and choose “Format as” option if you have previously set up your SD card as portable storage. 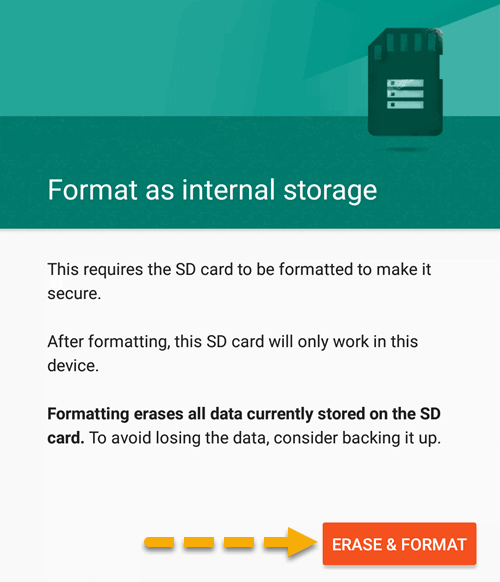 Confirm to format the SD card by tapping Erase & Format. It will take a few seconds to format the SD card depending on its size. The phone will then prompt you if you want to move data to the SD card. Select Move Now if you wish to move all photos, files and apps (some) to the SD card. Your apps and other data will be moved to the SD card. 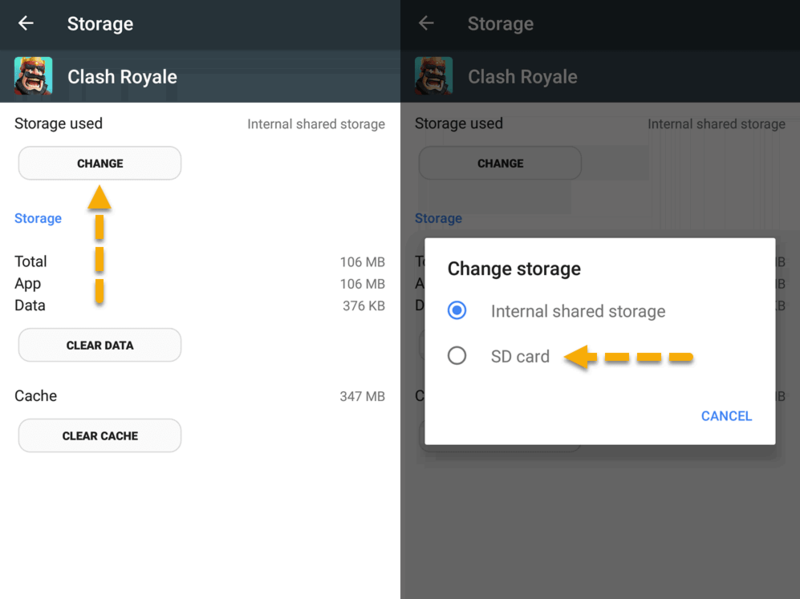 Alternatively, if you only want to move selected apps to the SD card, then you can follow the steps in the next section. On your Nokia phone, go to Settings > Apps. Select the app which you want to move to (or from) the SD card. Tap on “Change” under “Storage Used” and set to SD Card (or internal storage as needed). The phone will take a few moments to copy existing app data to the new location and you will be good to go. An external SD card is not as fast as the internal storage. So, some lag will always be there. However, you can minimize it by using a high-speed MicroSD card. A Class 10 SD card will give you decent read/write speeds and hence apps will run smoother. I have a Nokia 8 and these options are missing. Why? The Nokia 8 does not come with these features. HMD Global probably didn’t include that because Nokia 8 has 64 GB of onboard storage which is ample to store apps and data. Also, the Nokia 8 is a flagship-grade smartphone and the apps on SD card can significantly affect the performance. Why can't I use my SD card in another phone? When you format the SD card as “Internal storage”, then it is formatted so that the data remains secure. You cannot use it on another smartphone without formatting it first. This makes sure that any information and app data stored on the SD card remains is only used by you. The 'Change used storage' option is missing for many apps. Why? These are app and developer level restrictions. Many app developers disallow their data from being stored on the SD card. This is usually done to ensure the best performance. Good thing is that you can move most of the games to the SD card. Have another question? You can ask it in the comments section below and I’ll try to answer as many as I can. Well, I can do it. Maybe you had a lot of information. I just bought and inserted a 128 GB class 10 Micro SD card and it moved many apps into this new 128 GB card. I still can’t move my apps even with a new 16 SD card. Nokia phones are a big disappointment. I will never buy a Nokia phone again. I have a Nokia 5 phone. I am interested in downloading some new apps. Can I do download these new apps straight to my SD Card? I have already formatted my SD card. Can I store my photos in gallery on my SD card. If yes, kindly provide me with the relative steps. i have purchased Nokia 6.1 plus 2 months ago. i can’t find the option to make sd card to internal storage. there is only a format option in the storage settings of the sd card and i can’t find the option “format as internal storage. i already tried different sd cards but still it’s not working. can someone tell me how to fix this? thanks in advance. Hi there, the Nokia 3.1 – can you move certain Apps to the SD card on this model? Not to be confused with the Nokia 3. Hi Steven, no, it is no longer possible to do that on newer phones running on Android Oreo. You will only be able to store your apps on the internal storage. Thanks for your reply but on this occasion you are incorrect. You can expand your phone’s memory with a memory card. 1.Tap Settings > Apps & notifications > App info. 2.Tap the app name and tap Storage. 3.Under Space used, tap Change and select the storage for the app. You can later move the apps back to your phone from the memory card. The type of the memory card may affect how long it takes to move large files to the card. I’d like to try that out. The setting was no longer available after updates to even the Nokia 6. So, I have some doubts about the website’s information. I chatted with the Web-Chat team on the Nokia website and they confirm that what is on the website is correct. Why make the SD card available and then not allow Apps to be transferred across? – I’m aware that pre-loaded Apps will not move across (fair enough) but Play Store Apps can be stored on the SD card. I have to make sure the SD card is formatted correctly, once inserted, so that it is ‘Portable’ – SD card can be accessible via computer and phone. If they are confident enough, then I’ll take my words back. I have, however, checked with a Nokia 7, Nokia 7 plus and Nokia 2 and they do not support it. If I recall correctly, even Google said something about not allowing “Adaptive Storage” on Android One certified devices as it impacts performance. Also, even when the option exists, not all apps will support being moved to SD, even ones from Play Store. For example, WhatsApp will never agree to be moved to SD card. All I’ll say is that if you’re buying from a store, then check the existence of this option on a demo unit. Same. The newer builds of Android probably don’t support apps on SD. Why is it that you cannot move photos from Gallery to SD card on Nokia 6? Nokia used to be user friendly but now lacks some basic functions like other phones.I had long turned my back on Nokia & only returned thinking they have moved on with time but alas my first android phone had very low ringing tone,could not move photos to SD card.Disgusting!! I’m going back to Samsung. Hello, you can move photos to your SD card by either using the Nokia Gallery app or by using a File Manager such as ES FIle Explorer. Simply launch the file manager and cut > paste the folder(s) to your MicroSD card. Hi Thanks for you detaild instructions. I did all as you stated and formated the SD card for internal storage. Also I ahve moved all the apps. Nevertheless after all that I am not able to see SD card in file manager and cannot see it on my computer when I try to move my backup files to my phone’s SD card. I do see it under Storage settings. My Nokia 5 (Android Oreo) can only clear cache and clear data, and doesn’t have the option to change storage. Why is that ? Did you set your SD card as “Internal Storage”? Also, the option is not available with all the apps. Many of them restrict being moved to SD card.